By “open access” … we mean its free availability on the public internet, permitting any users to read, download, copy, distribute, print, search, or link to the full texts of these articles, crawl them for indexing, pass them as data to software, or use them for any other lawful purpose, without financial, legal, or technical barriers other than those inseparable from gaining access to the internet itself. In some ways, 2013 was a great year for open access. 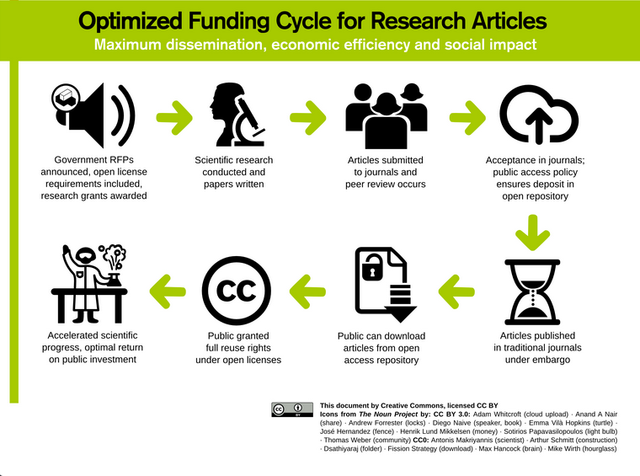 In the United States, the White House issued a groundbreaking directive requiring that most publicly funded research be made available to the public, and Congress introduced the Fair Access to Science and Technology Research Act (FASTR), a bill that would require those federal agencies with yearly external research budgets exceeding $100 million to provide the public with online access to research articles stemming from such funding within 6 months of publication in a peer-reviewed journal. And several states are considering public access policies of their own. In Europe, Neelie Kroes, Vice President of the European Commission for the Digital Agenda, helped launch a pilot to open up publicly funded research data. But the march toward open access is long and slow. Open licensing requirements for publicly funded research should really go hand in hand with those for other publicly funded materials, including educational resources and cultural works. Creative Commons recently formed the Open Policy Network and the Institute for Open Leadership to equip advocates for open policy across disciplines. 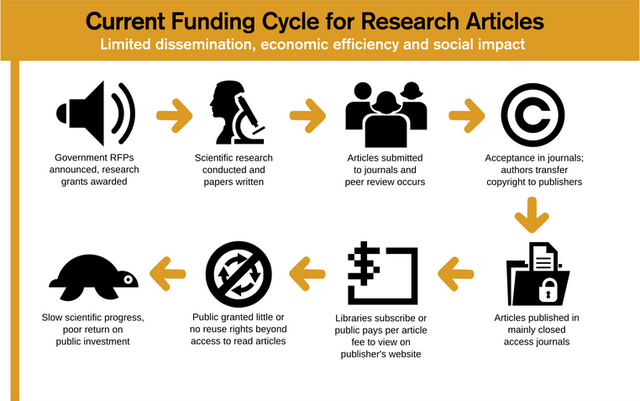 The point is obvious: the fewer restrictions are put on the public’s use of materials, the more swiftly scientific progress, the more efficiently those research grants can achieve their purpose of advancing knowledge.